We are a unique name in the market to provide our honourable customers an exclusive range of Diagonal Side Cutter. We have also been betrothed in providing for our clients Multifunctional Diagonal Cutter. Head shape: Semi-circular, swedish style. Our organization offers a distinct range of High Leverage Diagonal Cutters that are available in precision cutting edges. These are manufactured using supreme quality of raw material. These are light weighted and durable and are available in various sizes. 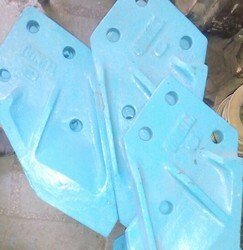 Corrosion resistant with hardened and tempered steel construction for long life. Dipped handle provides for a more comfortable grip. Ideal for cutting copper, brass, iron, aluminum, and steel wire. Cushion-grip handle. (Elora No.4510-F E 2K )For cutting in places which are difficult to access, for work with endangered electronic components. We present a broad range of supreme quality of Electronic Diagonal Cutter to our valuable clientele. Our professionals construct these products using the optimum quality raw material that is sourced from reliable vendors of market. Due to their well-built construction and durability, these are highly demand in the market.